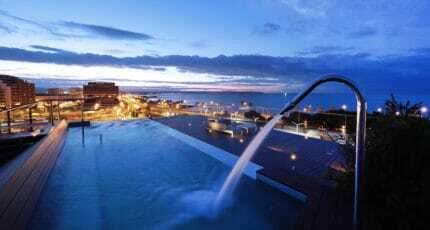 “It is a different, unique experience” says the general manager at Es Princep Hotel – a five-star property situated on the most southeasterly corner of Palma‘s old town. 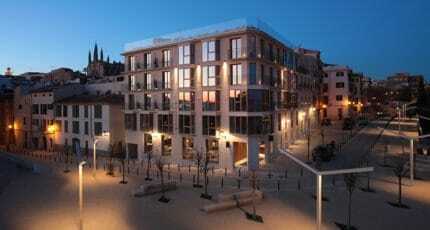 We are seated at the Gremium bar of the latest restaurant by Michelin-starred chef Andreu Genestra, Bala Roja. 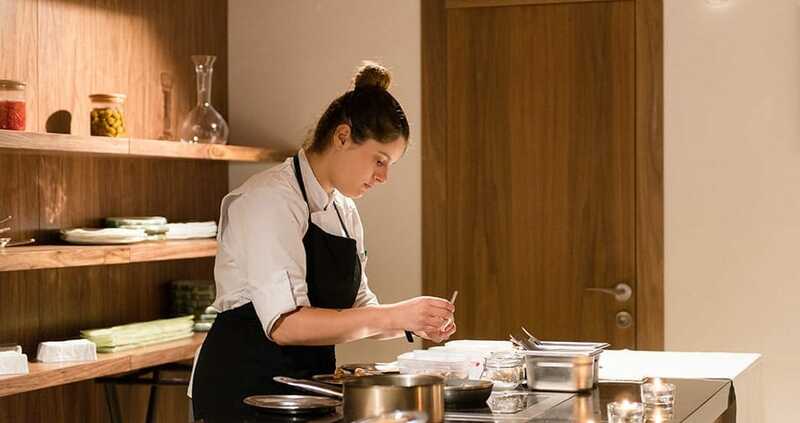 The GM has joined us for an aperitif glass of Recaredo cava and she is referring to the set menu of the hotel’s fine dining restaurant (the other is Mura, a bistro-style, all-day eatery serving a la carte snacks, breakfast, lunch and dinner). Bala Roja refers to the cannonballs – red bullets – that were once-upon-a-time fired from the adjacent ramparts to protect the city from invading warships. 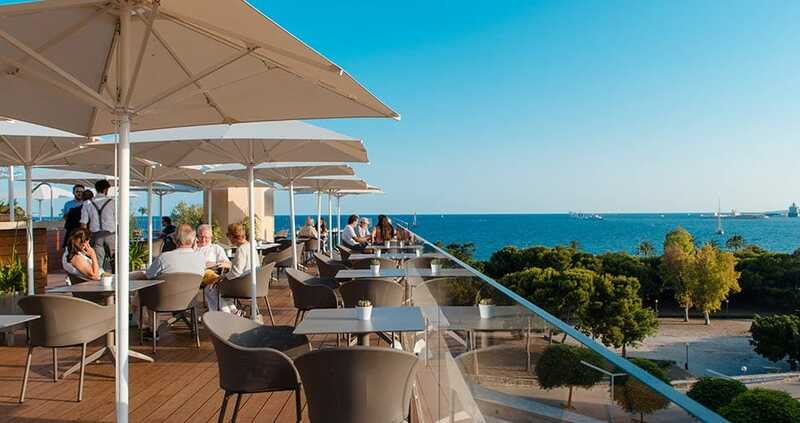 Today, the sea views from the roof terrace bar, Almaq, and upper storey rooms have unobstructed vistas of the peaceful sea. Making our way downstairs, Bala Roja is empty at 7:30pm when we sit down. The long grey banquettes and contemporary lighting are the antithesis of the beachy Mediterranean decor favoured by many Palma’s eateries. 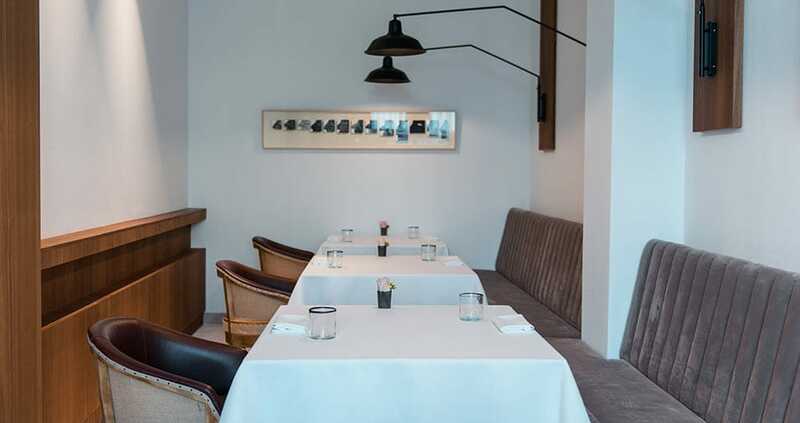 Despite the hotel’s frontline position, the restaurant has no sea views, which feels like an unusual design choice. 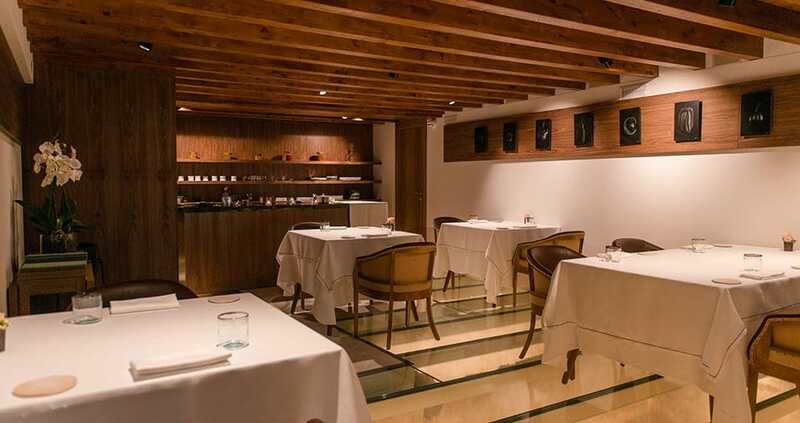 Bala Roja’s interiors are formal and spare, until you look down. The transparent glass floor reveal cavernous excavated Roman ruins. The effect is dizzying, and we choose to sit in the dining area where the floor is firmly tiled. 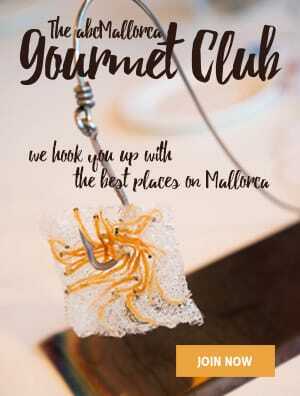 Chef Genestra is committed to the canons of Mallorcan cuisine. Pork, seafood, almonds and citrus fruits are island staples for frito, arroz brut, and pica pica; dishes that are divisive, with loyal fans and dismissive critics. 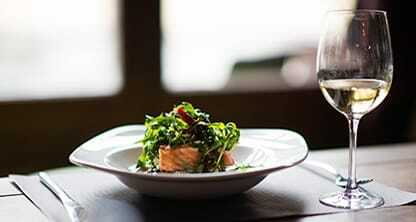 Great chefs on the island have stumbled when attempting these dishes that have been hundreds of years in the making. 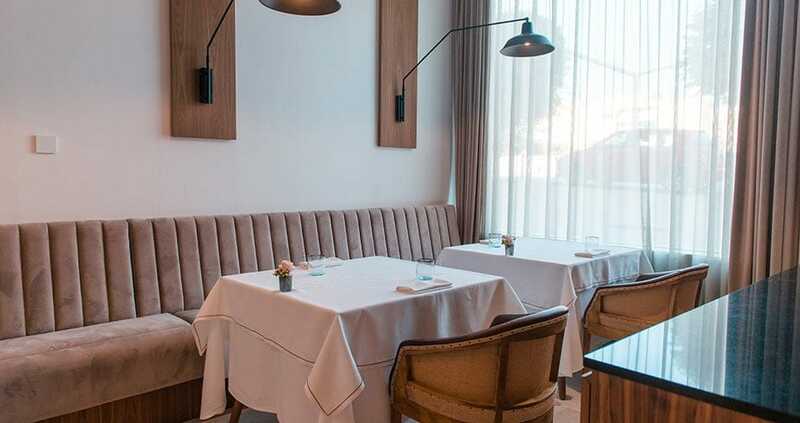 However, Genestra is renowned for the reinvention of Mallorcan classics in his eponymous restaurant, in the Hotel Predi Son Jaumell (which has a Michelin star), and Aromata in Palma. 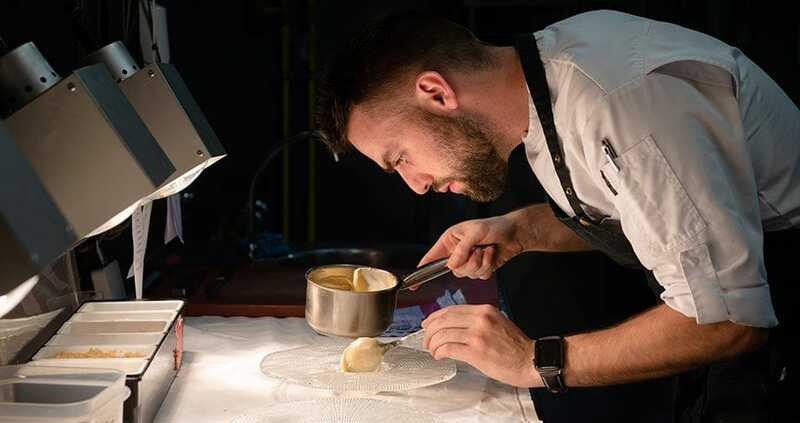 The reasonably priced, long tasting menu at Bala Roja commences with five gorgeously presented tastes of the island: monkfish with pickled cauliflower, and an olive meringue ‘trencada’ are delicious. 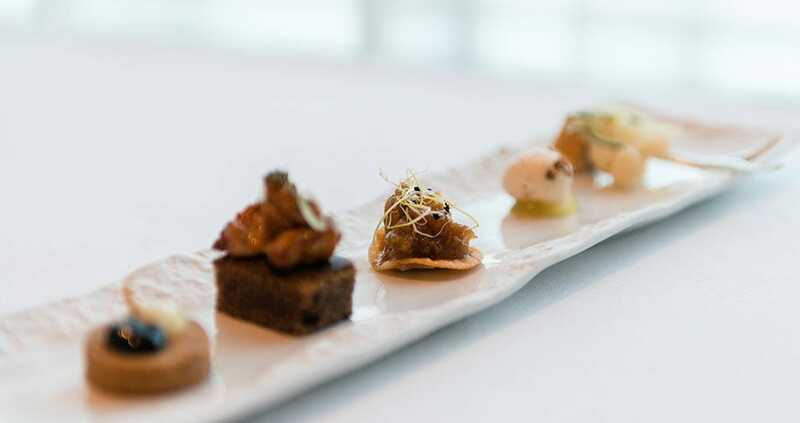 The fried Mallorcan sponge with lamb has a vague refrigerated taste, and the garlicky biscuit with lemon and vegetable caviar is gritty; a caramelised onion corn cracker is a tie-breaker, crisp and savoury. The handsome sommelier serves a delicate Muscat from Miquel Oliver‘s Mallorcan bodega and saves the day. 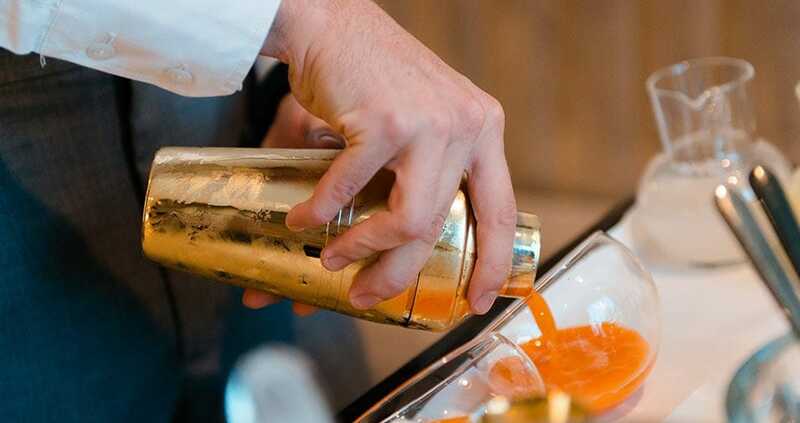 His selections continue to be perfect in acidity and weight for the cuisine they accompany, including a slightly medicinal cocktail of grapefruit foam, carrot, orange and lime juice that acts as a mid-meal palate-cleanser. 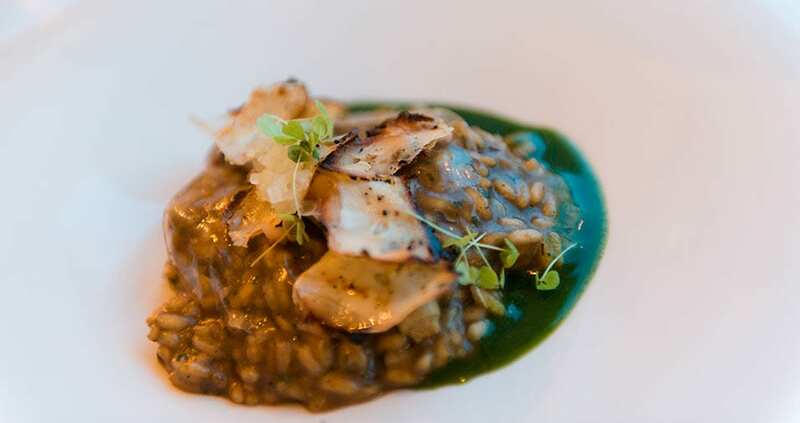 A smoked aubergine arroz brut with rabbit foie gras is interesting and rich, keeping with tradition. 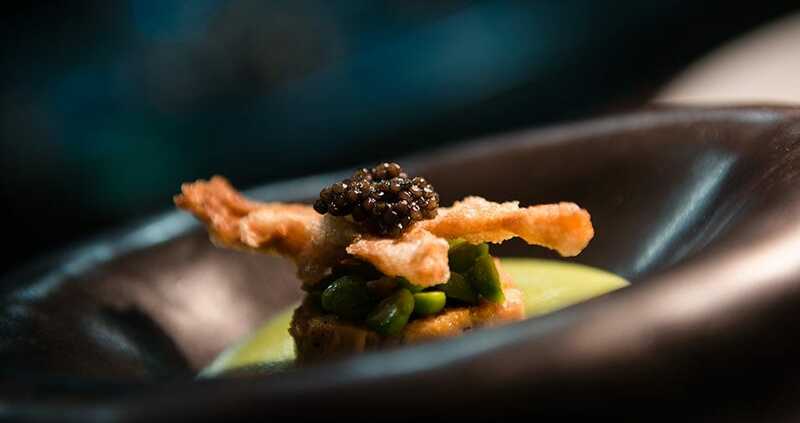 A marinated lobster served over pureed fresh pea with poularde and caviar is a fresh follow up, served with Lustau Escuadrilla sherry. The three courses are devoted to dessert. Anise ice cream flambeed, followed by an acidic ‘Bala Roja’ truffle, and a platter of Mallorcan ‘after dinner’ bonbons; membrillo, macaroons and chocolates are whimsical. Afterthoughts? 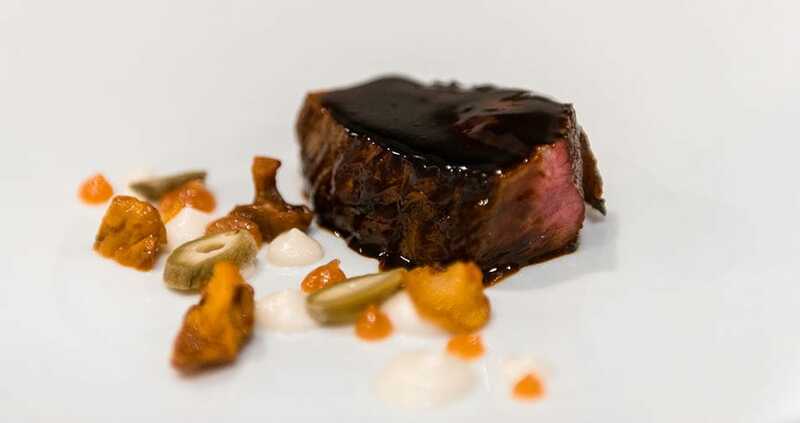 The meal was complex, with textural pitfalls and molecular feats. We feel we were just beginning to understand the concept, so this tasteful challenge left us yearning to return. 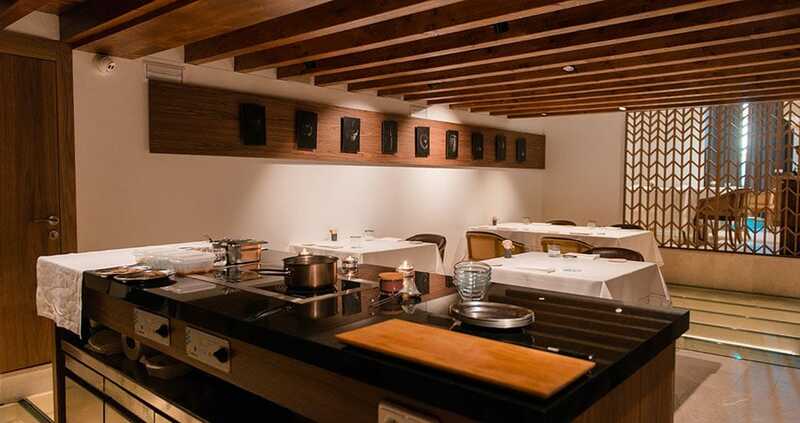 The sommelier’s curation and the flambeed anise ice cream are exceptional. 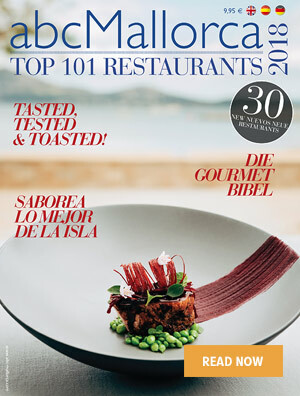 We hope you have found this article about the Dinner at Es Princep’s Bala Roja Restaurant useful and that you have many memorable stays in Mallorca as a result of our recommendations.